Brian's parents were founders of the Marshfield Curling Club in central Wisconsin back in 1974. Curling was something Brian did with his dad. His first Spiel was in Waupaca when he was 16 years old. 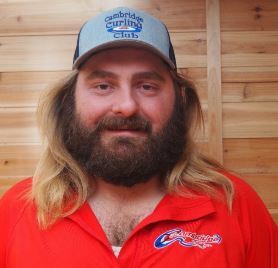 He moved to Isanti in 2005 and met fellow curler, Chris Pearson. Chris told brian that one of the Thursday night leagues needed a Skip. That's when Brian joined the Cambrideg Curling Club. "The minute I walked into the club, I was hooked. It has the exact atmosphere as the club I grew up with." Brian joined the board 4 years ago because he saw that there were some big changes in the works. "My goal was and is to help ensure that the environment stays consistent to the culture it has evolved to be. I am also passionate about improving our curling experience by adding enhancements to the club, like the ease of our new website, the update to the new filtration system, and getting our ice volunteers certified as technicians. I was once told that being a good president is as easy as surrounding yourself with good people. I can say that the people that we as members have elected to sit on this board are top notch and share the same passion I do about the success of the club." Jeff was invited to try curling by some friends nine years ago. 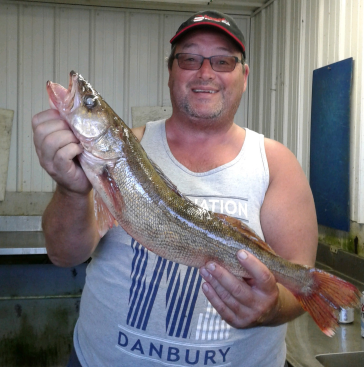 "I have been hooked ever since." He is involved wih the club in lots of different ways. 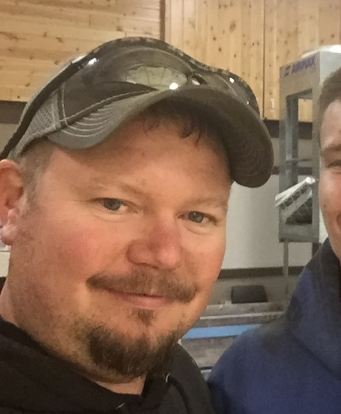 Besides serving on the board, you can see him volunteering at bonspiels, helping at the fair, and helping with the ice set up and tear down each year. Why did you agree to serve on the Board of Directors? "Honestly, somebody put my name on the paper and I forgot to erase it. I then decided it was time to learn how the club ticks." What is one thing you would like people to know about the CCC? "It is a lot of fun to curl with friends. It is also a great place to meet new people!" The club has a lot happening and we’ve come a long way is a short time. The support from members has been great and we have been improving the club with funds raised in memberships, bonspiels and sponsorships. We will be launching fundraisers as we look to getting a reserve fund for the new west end clubhouse. We are committed to making investments in our rink to provide the best curling experience. A special thanks to our donors and sign sponsors big and small. From the financial perspective we have settled into a business model that ensures the club makes a reasonable net profit to be able to reinvest for the long haul, providing a quality curling experience and long term financial stability. Good curling everyone. The Cambridge Curling Club has a history in my family. My grandfather was one of the founders of the club, my parents as well as my aunt and uncle have been curling for many years. I have been around the curling club most of my life. It was only a matter of time before I gave it a try myself. I really enjoy curling and the club we have in Cambridge. Trish wanted to be more hands on, to be a part of the club's future growth. 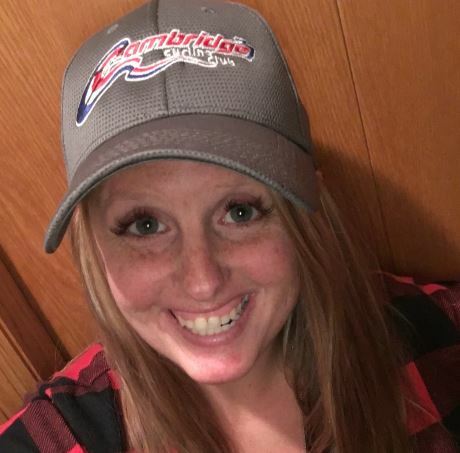 She volunteers her time by serving on the Board of Directors, working the Isanti County Fair, helping with bonspiels, and with learn to curl events. "The Cambridge Curling Club has been around for a number of decades for a reason. Not only is it something fun to do in those dreaded winter months here in Minnesota, but this club has a great sense of community. To my husband and I, it is an extended part of our family. CCC offers a variety of competitive levels, so it speaks to many different ages and levels of curlers, from beginners, to intermediate, to the more experienced curler. Not many people know this, but our club is one of the only clubs to offer a women's league; I have to say this is personally my favorite night to curl." Kate tried curling in Duluth, one of her first lessons ever was with Olympic Gold Medalist John Shuster! She picked it up regularly about 5 years ago when she saw her husband's cousin wearing a Curling Club jacket. She had always seen the sign at the fair but didn't realize it was a real thing! She put together a team for Friday mixed league and was hooked! Kate likes to volunteer with bonspiels and donations, but she really got involved when she and some friends wanted to become more involved with promoting the club. They wanted the world to know how much they loved the club, so they formed a mini committee and started promoting curling apparel for the club. She also volunteered with the club renovation arena project, and you can find her helping with club cleanup at the end of the season. 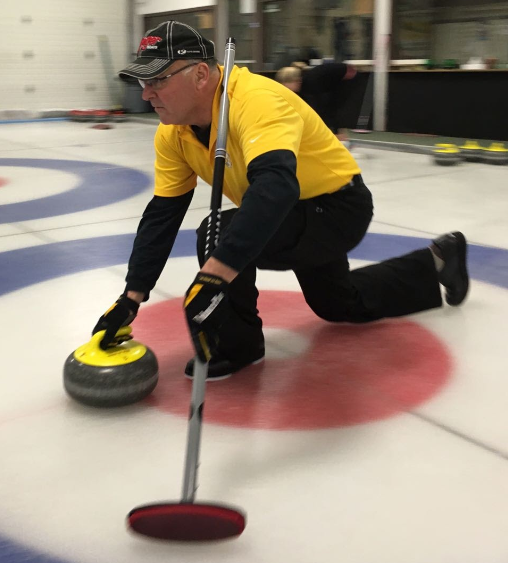 Tom started curling 19 years ago when a friend asked him to sub. After his very first game he was hooked. The next year, the Nelson Rink asked him to curl with them and he has curled ever since. Tom first got involved in the club by volunteering at the club teardown and setup events. In 2008, he was elected onto the Board of Directors and served as VP that first year. In the following 10 years on the board, he served as President 3 times, VP 2 more times, and was Secretary for 1 term. Tom volunteers at learn to curl events, the county fair, and coordinates corporate events and private party rentals at the club. He has been the league director for the Tuesday Open League for the last 9 years. "The Cambridge Curling Club is a family. We have been around for over 40 years and have some old members, some young members, some retired members and when we add new members, we welcome them into the family with open arms. Most of the time we enjoy each other's company, sometimes we disagree, but we always work through it together because that is what families do. It's a great group of people!" Brian started curling 16 years ago when he subbed on a Tuesday League in 2002. He was then recruited to curl in the mixed league. He has been curling ever since! Brian helps wherever he is needed. Making ice, running bonspiels, taking care of our club with maintenance issues, and helping at the county fair. "The club couldn't run without this group of people making tough decisions that make the club continue to grow. With that being said, I enjoy being a part of that. I've curled at many other clubs and our club hosts the best spiels in state or out of state!" 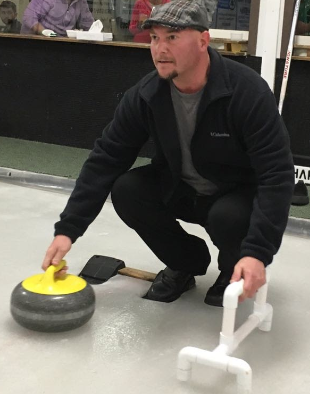 Clint started curling 8 years ago through his family. Clint's dad has been curling for over 30 years and introuduced his sons to the sport. As a board member, Clint heads up the bonspiel committee and the Novice League with Brian Netzer. (Any new curlers, please contact one of them, we'd love to have you!) 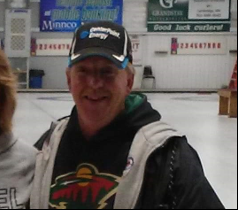 Clint also helps with ice prep, cleaning the club, helping at the Isanti County fair, and he has been very involved with new projects. "Whatever they need me to do, I do. I love the sport of curling, I love the people and friendships made through the club, and I love the atmosphere of our club - it's irreplaceable and very different than other clubs." Our club is very unique and I feel lucky to be a part of it --werun based on 100% volunteer work, all of our money gets reinvested directly back into the club as we are always looking to grow our club and inprove our facilities, and we love competitive curling! Our club is very unique and I feel lucky to be a part of it – we run based on 100% volunteer work, all of our money gets reinvested directly back into the club as we are always looking to grow our club and improve our facilities, and we love competitive curling! Rich started curling in 1984 with a bunch of friends. He took 9 years off to coach youth hockey. This year will be his 27th year of curling! Rich volunteers his time at the club by helping out with cleaning, club set up at the beginning of the season and tear down and the end of the season. He helps with flooding when needed, and is a great help at club bonspiels. Rich and his wife Rocky ran the mixed bonspiel for years! Rich decided to serve on the board because it's something he has done most of his adult life. He has served on the board of directors for high school football, baseball, and softball. He served on the Hockey Association board and the Isanti Arena board. He retired after 24 years of volunteer service with Isanti Fire and Rescue. "I guess I have been volunteering in this community a long time, but I plan to make this my last board to be on once our club is finished. Until then, I'm still here!" "Our club is a welcoming club, glad to see new faces that come to curl here. As a board, we have worked hard to get people involved in the club to make it a friendly place to keep coming back to. The ice has gotten better each year as we learn and improve our equipment. This should be the year we get championship ice!" 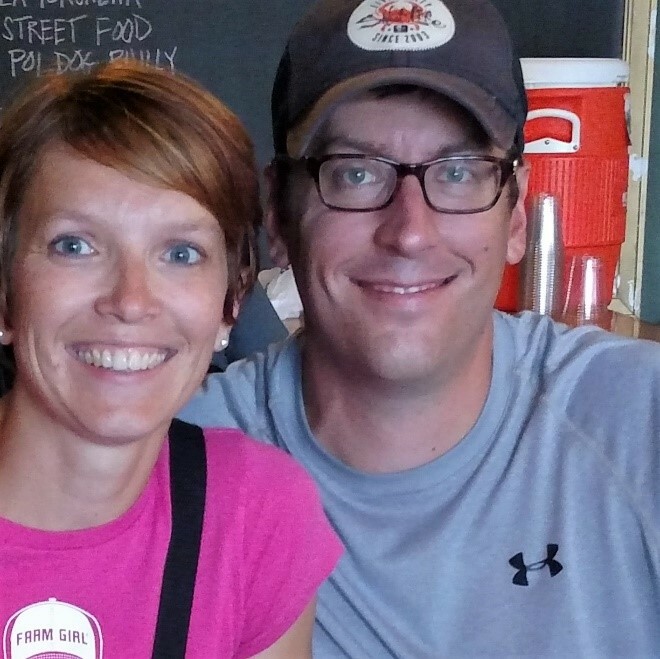 Linda started curling mixed league when she met her husband in 1985. 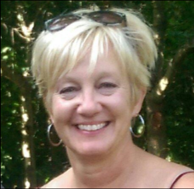 She has been involved in many club activities including serving on the Board of Directors, Women's and Mixed league chair, bonspiel chair, volunteering at the Isanti County fair, and serves on the building and fundraising committee. 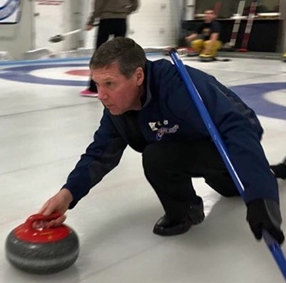 "I like serving on the board because I want to be a part of a progressive team that cares deeply about the future of our club and about providing a quality curling experience for our members. We have many amazing, talented mekmbers who selflessly volunteer many hours of their time for the betterment of our club."